Chomping at the travel bit. I'm combining my passion for food and travel into a small, bite size blog. Copenhagen Day One, Finding Our Feet and Christmas! A friend of mine said to me “I couldn’t do what you do, booking separate flights, accommodation and travel… I just go to a travel agent and let them do it, as I wouldn’t know where to start!” This got me thinking, what if there are other people out there who think exactly the same thing? So with that in mind, I’m writing this blog as a kind of step-by-step guide to tell you how our holidays were booked and how we did things so hopefully it helps anyone who has never travelled before understand the process of booking holidays, and also give a little insight into pitfalls that can happen along the way. I want to take the fear out of travelling for the first time traveller and also to prove that if I can do it, then anyone can! I know there will be things that we could have done better or things that will make people scratch their heads and think “why?” but we are learning with every trip we take, so if you can suggest better ways of doing things or booking places etc, then please let me know and interact with everyone reading…. You never know what we will learn! My blog is also about another passion in my life… food. I love food, who doesn’t? I want to share my food experiences with you all and also recipes I discover or create. I only really started being adventurous with food when I moved in with my fiancé. I can even remember the first thing I cooked for him, a chicken stir-fry. Ever since then my culinary skills have improved, along with my confidence to just think “you know what, I’ll give it a whirl”. Granted, not all things go to plan as in the case of my slow cooker Spanish Chicken dish which ended up looking more like yellow rice pudding than something you would get served anywhere in the Mediterranean. In fact, it just fell out in one go, kind of like a jelly falling out its mould but minus the wobble. So, I hope you enjoy my ramblings and find my blogs useful, informative, interesting and fun. Please feel free to share, like, comment and join in as much as you want, it would be great to hear from you. Hello. I’m Claire, aka travelstodge. I decided to start a travel and food blog as they are two of my passions in life, and I wanted an outlet to combine both of these together, so travelstodge was created. It was actually my fiancé who suggested I started blogging and helped me come up with my blog name. Here is a brief introduction to who I am and the places I have been to so far in my life. I’m 34 and have always loved traveling but unfortunately I haven’t done as much as I would have liked, so I decided a few years ago that I would change that and at least go somewhere every year and experience new and exciting adventures, whilst absorbing cultures and food I’ve never seen before. I have been to Dénia in Spain back in the 1980’s which my parents won on a KitKat competition, and Florida twice with my family, once in 1995 and again in 2007, which was superb but it was very “touristy” and whilst I loved it there, I don’t think I would want to go back again, unless I was going off the beaten track. I have also been to Rotterdam and Amsterdam in The Netherlands in the 1990’s on a school trip. After that, I went to Paris, France to celebrate my mum’s 50th birthday, which was nice. I didn’t get to see the Eiffel Tower (I hear you all cry out in disbelief) but vowed to return one day to see it. Then in 2007 I did something very uncharacteristic for me, I had a phone call from a friend in the February saying he’d booked a holiday to Barcelona and asked if I wanted to join him… so I said yes! I booked the flight and travel insurance and off I went in the April. I had no idea what I was doing, but it was fantastic! It was my first adventure into the unknown without the safety net of my entire family. Ever since then I’ve wanted to travel and see the whole world. 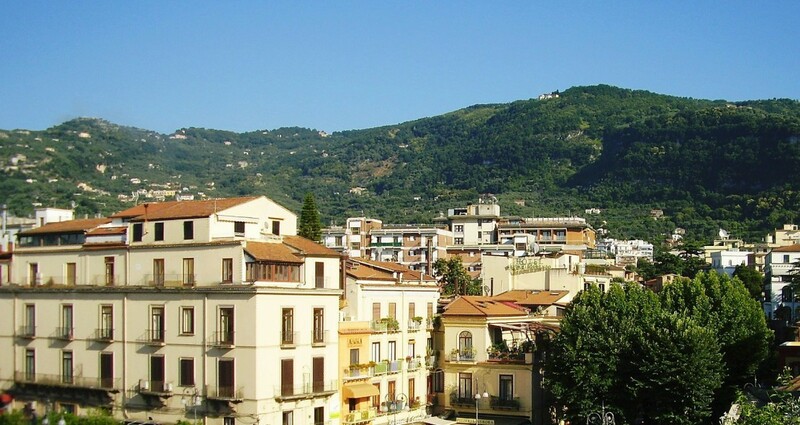 I started properly in 2012 and went to one of my favourite places, Sorrento in Italy. It was breath taking and made me realise that traveling isn’t as scary as I thought it would be. Sure, I can’t speak the language nor have the foggiest idea where I’m going, but I was soaking in another culture, and it was stunning. It was also the first time I went with just my mum too, which was an adventure in itself but we bonded more in that week than we ever did living at home. Then there was a cruise in June of 2012 across Scandinavia, namely Oslo in Norway, Gothenburg in Sweden and Aarhus and Copenhagen in Denmark. I had always wanted to go on a cruise and this seemed perfect for me, as not only do I get to try new foods on board (different types of fish that even now I forget the name of) but I get to “try out” three new countries that I had never been to before. I then met my fiancé in October and that was when the food part of me flourished. Being part Italian, he loved his pasta and I began to get creative in the kitchen. Pasta turned to rice, and then turned to a slow cooker and casserole dish and now I try anything and everything as I just love cooking. I’m also lucky that my fiancé will try anything too and is always honest if he doesn’t like something or will tell me if something isn’t quite right, as I’ll tweak it for next time. He also has a sweet tooth, and as I’ve always been a good baker, cakes and biscuits are now just the norm in our house. My fiancé revealed to me that the only time he went abroad was to France on a uni trip, and he ended up with gastric flu, so instantly I was thinking where could I take him that would be good for us both and somewhere I think he would enjoy…. Barcelona it was! I know I went years ago, but as it would be our first holiday together, I wanted it to go as smoothly as possible so he would want to go abroad again. I can honestly say that was the most stressful, but enjoyable holiday I’ve ever been on as I wanted to make sure he had a good time. So…. where to next? Well, the world is our oyster and I have many places marked on my TripAdvisor map to visit, so we will see where the time (and money) will take us. This year we are planning a trip to Copenhagen in Denmark, as I only spent a few hours there previously, and my fiancé is also sold on the idea. His dream location however is New Zealand, and mine… well, I have so many but if I had to say one place it would be Japan. Well, that is me! I would love to hear from you, the person reading this now, and let me know where in the world you are, where you have been, and where your dream location is. So, until next time, happy travelling and eating!